There is nothing like the feeling our clients get when they come home to a freshly mowed lawn and shrub bed areas raked to a manicured appearance. 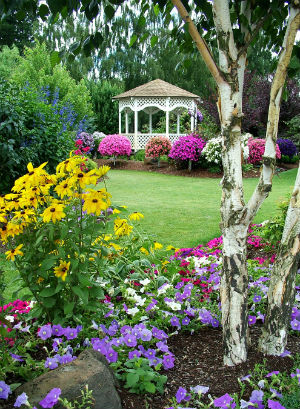 Our highly trained landscape maintenance crews and their equipment are at the ready to provide professional, reliable maintenance service to enhance the beauty of your ever-growing landscaping. Our flexibility in these programs is a necessity due to our customer’s needs. All of our maintenance crews are educated to the techniques that are required to allow your plants to mature naturally – maintaining shape and texture. With Washington’s Fall Seasons, we offer seasonal leaf cleaning along with our pruning and all the tasks required to prepare your landscape for winter. 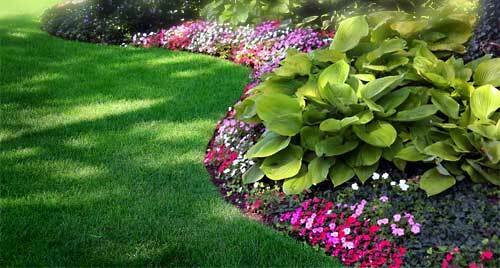 Depending on site soil conditions, light and grass varieties, your lawn may require more care than others. To maintain a neatly, vigorous turf, we offer thatching-aerating to allow your lawns air and water. These services we provide in the springtime. If your lawn is sparse in areas, we offer slit seeding. This is a far superior method to manual over-seeding because the machine slices the seed into small furrows to further aid germination. We used to hate looking at and working on our property. Since Dzingle’s did the landscaping and began maintenance on our yard, we feel that we live in a paradise that requires a little puttering now and then just to give us the feeling that we are “gardening”. Thank you Dzingle’s for making such a difference to our home.